Office 2016 is the next major version of Office productivity suite from Microsoft scheduled to be released in the second half of 2015. In mid March 2015, Microsoft has released a preview version of Office 2016 (update: official publicly available Office 2016 Preview for Office 365 subscribers and non-subscribers) for home users and business users who have active Office 365 subscriptions that come with Office desktop apps. The deployment and installation of Office 2016 Preview is done through Click-to-Run technology (C2R). Essentially for Office enthusiasts who joined the Office 2016 Preview program and downloaded the Office 2016 Preview setup and documentation files, the setup installer is essentially a script to download and install Office 2016 in the background. There are two different preview programs for Office 2016, namely Office 2016 Preview (for Home) and Office 2016 Preview (for Business). 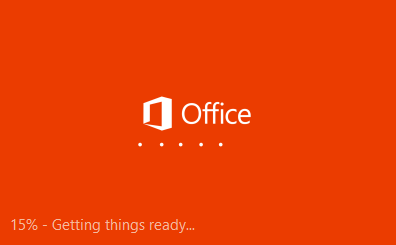 How you are going to install Office 2016 Preview depends on which program you joined. Note that currently Office 2016 Preview does not support side-by-side installs in any combination, or else the desktop applications of Office 2016 will crash on load. For example, if you have installed Office 2013 via CD, DVD, ISO image or standalone .MSI setup installer, you must uninstall Office 2013 prior to installing Office 2016 Preview. Participate in Office 2016 Preview (for Home) by answer a simple questionnaire. When asked about the e-mail address where you received the invitation that has brought you to this Participation Agreement, just enter any email address. Right click on the downloaded zipped folder, and select Extract All to unpack the compressed archive. Browse to the extracted zipped folder content, e.g. v1.0.9, and double click on the OfficePreview.exe executable file. 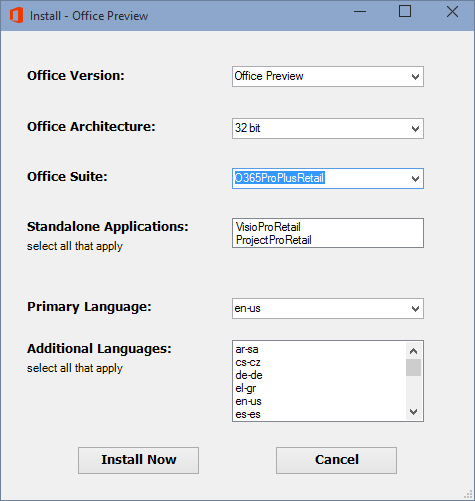 For NEW installation of Office 2016 Preview (i.e. 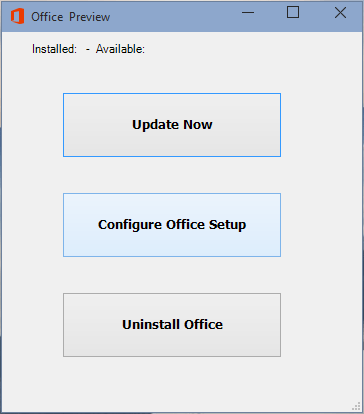 first run install WITHOUT existing Office 2016 Preview), click on Configure Office Setup. For system with EXISTING Office 2016 Preview (i.e. Office 2016 Preview already installed), and with installed version LOWER than the currently available, select Update Now. Note: If you select “Update Now” on fresh system without any existing installation of Office 2016 Preview, you may get error 30088-1021 (0). Select the appropriate options for your Office architecture (32 bit or 64 bit), Office suite (based on subscription type – O365ProPlus for Office 365 ProPlus, Enterprise E3 & E4, O365HomePremRetail for Office 365 Personal & Home, and O365SmallBusPremRetail for Office 365 Business & Business Premium), primary language and any additional language(s) you wish to install. 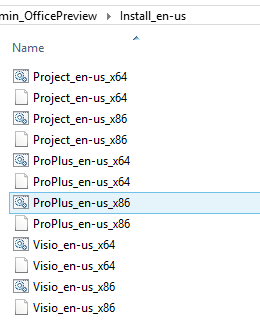 Select also VisioProRetail and/or ProjectProRetail if you have a valid subscription for Visio and/or Project please. The selected install options from first-run install will be preserved for any future installs/updates. Click or tap Install Now to begin installation. Click-to-Run process will stream the bits in the background. Select Run or Yes if any security warning or User Account Control (UAC) prompts for permissions. When done, you may receive a confirmation dialog stating “You’re good to go”. Click or tap All done! button. Office 2016 apps can be launched from Microsoft Office 2016 Preview folder on Start menu/screen. Participate in Office 2016 Preview (for Business) by answer a simple survey. Browse to the extracted zipped folder content, e.g. Admin_OfficePreview. Open the Install Language folder you want to install. 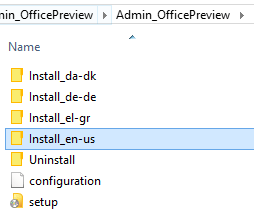 For example, to install US English version of Office 2016 Preview, go to Install_en-us folder. The setup.exe in the root is included for IT administrators to customize deployment using the Office Deployment Tool (ODT). If you double click on this setup.exe to run it, it will NOT install Office 2016 without appropriate configuration.xml file specified. The installation will start automatically to initiate Click-to-Run process which will steam the applications in the background. Select Run or Yes if any security warning or User Account Control (UAC) prompts for permissions.